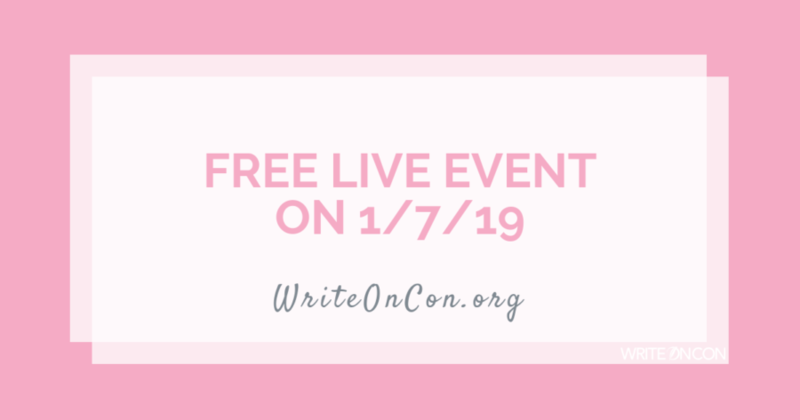 In case you missed it: we’ll be hosting special public live events in the weeks leading up to WriteOnCon 2019 (which will take place from February 8-10, 2019). These will be open to the public and free of charge. Though you won’t need to purchase conference admission to attend, these should be a good example of the kinds of content you would expect at the conference—think of them as a preview before the main event. Like our other live events, these will be live Q&As on set topics, with questions coming from the audience. All audience members can ask questions regardless of whether you’ve purchased admission—but if you like what you see, we encourage you to register! The event will take place at this link. The streaming video will go live at the scheduled event time, but you’re invited to pop in early to leave your questions for Gail in the comments section. A WriteOnCon.org account is required to leave comments, but they’re free to make. Again, these events are completely free, so we welcome you to check it out! We look forward to seeing you there! We’ll be announcing more events very soon, so stay tuned. Do ever feel pressured into making your cultural descriptions accessible to readers who are not from the same culture? For example you mention a specific type of dish and immediately follow it with a description.